INTRODUCING OUR 8th Annual Folk Tours Middle Eastern Dance & Music Camp. We welcome all levels of dancers and musicians, from beginner to professional! Come join us IN OUR NEW LOCATION in the beautiful countryside, just west of NYC in West Milford, NJ. Experience the magic of singing, dancing, and making music in nature. Camp Vacamas is located in Northern New Jersey, only 45 minutes from New York City, on 230 private wooded acres with a spring-fed lake. Their Labadorf Conference Center is the ideal choice for day trips & weekend retreats. The camp offers a huge indoor theatre with indoor and outdoor seating, also an outdoor amphitheatre overlooking the lake, inside fireplace, cozy upstairs balcony area with couches, large front porch with chairs for just hanging out, kitchenettes, large dance class studio areas, and rustic cabins for music classes. Enjoy three hearty meals a day, dormitory style cabins in the woods, nightly dance parties with extraordinary music (10 musicians + student musicians & guest artists), professional and student cabaret dance performances to live music and, of course, daily music and dance classes 12 dance classes/15 music classes per day, plus special dance classes with musical accompaniment. Also there will be vendors, henna artists, energy healing, tarot & massage therapists. Some PAST teachers and performers have included such luminaries as Artemis Mourat,Tayyar Akdeniz, Omar Faruk Tekbilek, Seido Salifoski, Yuri Yunikov, Tamer Pinarbarsi, Hamit Golbasi, Cassandra, Nourhan Sharif, Eva Cernik, Kajira Djoumahna, Dalia Carella, Sahra Saeeda, Paulette Rees-Denis, Steve Kotansky, Mohamed Shahin, Jajouka, Samara, Aszmara, Ara Dinkjian, Sonar Cicek, Karim Nagi, Ali Kahya, Haig Manoukian, Souren Baronian, Ibrahim Tunc, Ede Thurell, Fahtiem, Morocco, Christina King, Rachid Halihal, Sami Abu Shumays, Avram Pengas, Maurice Chedid, Umut Yasmut, Brad Sidwell, Amir Naoum, Rayhana, Azsmara, Ossama Farouk, Ayshe, Nursel and many other wonderful talents! One of the Ladies of Oriental Dance in Turkey, was born in Sulukule the gypsy quartier of Istanbul. 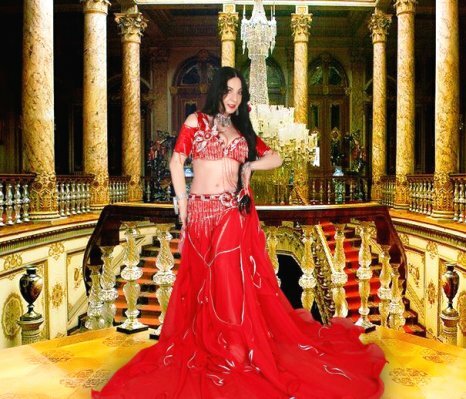 She started her professional career in 1973 dancing in Kervansary, even today the first place for bellydance in Istanbul.She also performed many years in Gar casino in istanbul.